So, week 8 is finally here. Day 62 (because I forgot to blog on the last day). Boy, this has actually gone incredibly fast! I’ve been a busy bee but it’s been incredible to do things without having to splash out the money! As many of you beauty bloggers may know last week Company Magazine hosted a week of beauty events and I was lucky enough to attend the Origins GinZing event at the OXO2 Tower. You can read all about the fun event I attended here. On Monday I headed to Hot Pink Grill in Wimbledon for a complimentary meal for two which was amazing and so delicious, you can read all about it here. On Friday myself and a group of friends popped over to Cosmo in Valley Park, Croydon for a huge buffet. Everything from pizza to steak and dim sum to incredible desserts can be found in this restaurants seating over 200 people! There are Cosmo’s all over the country and more opening in places such as Nottingham and Liverpool very soon. If you and your friends have different taste in food then this is the perfect place to go! I haven’t needed to purchase any products this week. I had a massive clear out in my bedroom, tidying my very messy dressing table and storing products I don’t use on a daily basis in some wicker baskets. I do desperately need some table top storage systems for my makeup and skincare, I should make a little wishlist really. Have I learnt anything from this experience? Yes. It’s made me realise a lot just how unhealthy my obsession with products was. It wasn’t that I spend loads on expensive products, it was that I made myself believe that my O.C.D forced me to stock up on things that I didn’t need at the time. Tampons, face wipes, toothpaste, you name it.. it was stored in my bathroom cupboard of chest of drawers in my bedroom. The past 60 days have allowed me to use products that were hidden away collecting dust, barely been used or in some cases; never been used! Using these products and finally finishing some of them has not only helped me to get out of my obsessive shopping hauls but has saved me so much money. I now have a lovely collection of empty products to review and share with my lovely readers and I now have a hell of a lot more space in my room and the bathroom cupboard and these are not excuses to stock up on things again! This simply means I can have a clearer simpler life. Perhaps even use a drawer for something other than products! Will I be taking part in one again? Yes! If I feel my spending has got a little too out of hand of I’d just like to save a little bit of money. It has taught me a lot. 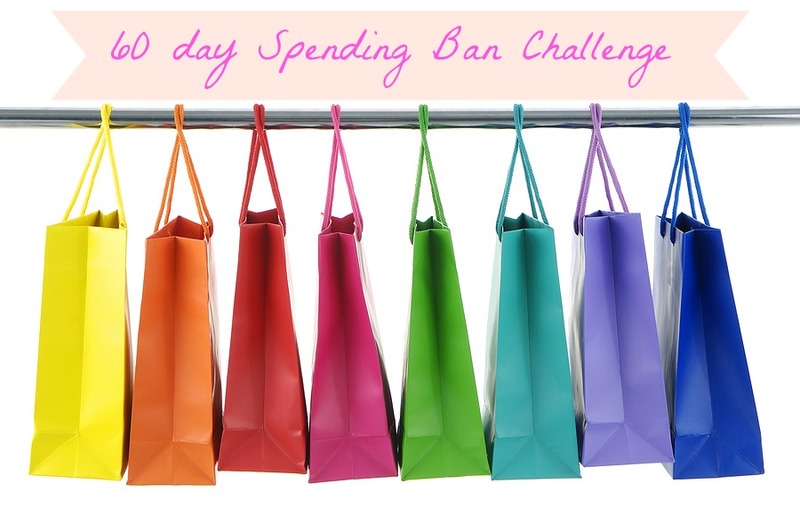 Have you taken part in a spending ban challenge? Did it help you in any way and if yes, how so? I would love to hear from you!